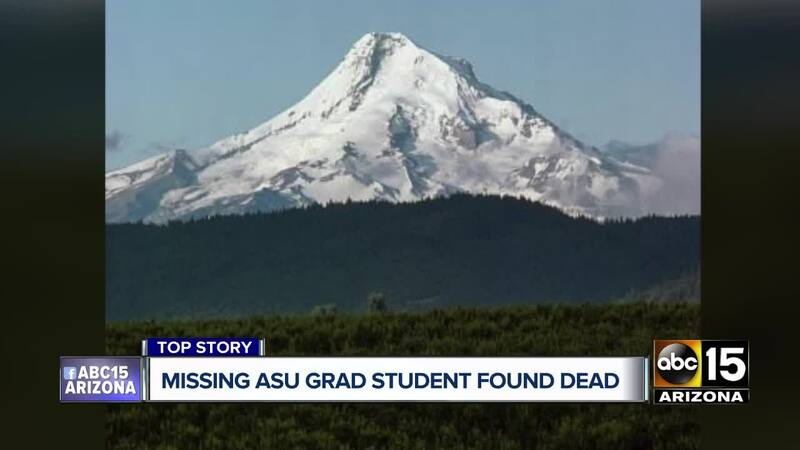 Authorities confirmed Thursday that the body found on Mount Hood in Oregon was a missing Arizona State University graduate student.Crews found David Yaghmourian's body on Mount Hood in Oregon Thursday morning. Crews had been searching the area for Yaghmourian since he went missing on Monday. Crews found David Yaghmourian's body on Mount Hood in Oregon Thursday morning. Crews had been searching the area for Yaghmourian since he went missing on Monday. 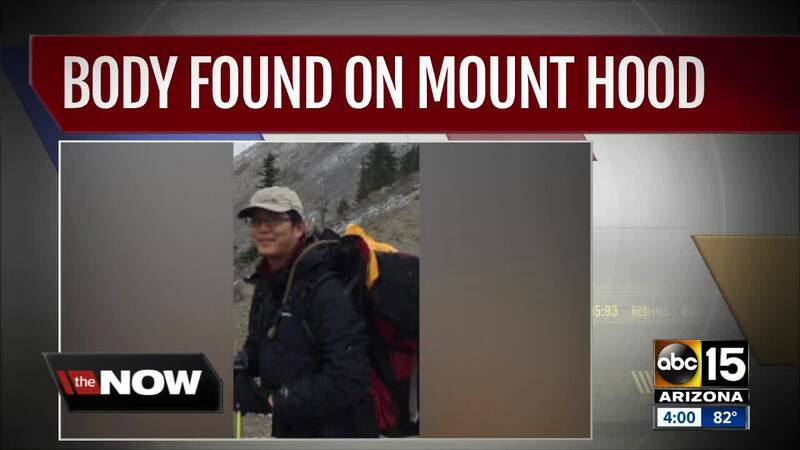 On day four of the search, it was a private climber that located David Yaghmourian's body at 8,300 feet, not far from the summit of Mount Hood. UPDATE: Searchers have located the body of a deceased male at approximate 8,500’ elevation on Mt. Hood and are working to recover the body and bring it down the mountain. Positive identification is pending. Our PIO is en route to our @timberlinelodge command post. CCSO said David Yaghmourian was hiking the Timberline Trail with a friend when he injured his leg. "It was outside our search area by about 3000 feet. This is far higher than we expected a person to be going," said Sean Collinson, with the Clackamas County Sheriff's Office. The cause of death is unclear, but investigators say it was likely the cold and treacherous terrain. "It looks like it is possibly hypothermic. It does appear that he was trying to set up a tent and had a sleeping bag," said Collison. "Then it looks like there may have been a small fall of about 30 feet. That may have caused some sort of an injury." More than 130 people have died climbing the Oregon peak, four in 2017 alone. "If you get off trail, it is even more challenging because the terrain is not always friendly," said Dale Stewart, who owns Arizona Hiking Shack in Phoenix. Stewart knows it well. He has summitted nearby Mount Rainier three times and worked on local search and rescue teams. "They create their own storms, their own weather," he said. It rained on David's first night alone, and temperatures dropped below 30 degrees. Authorities say it is unclear how long he survived. "Hypothermia is one of those things that sets in pretty quick with exhaustion and wet clothes," said Stewart. Yaghmourian is from Phoenix and was working as a graduate assistant on the ASU Tempe campus, earning his master's degree, according to family. Yaghmourian was on fall break last week on a multi-day hiking and camping trip on Mt. Hood with his friend when they were returning to their lodge and split up. Yaghmourian, 30, was hiking on Fall Break with a friend. The two separated just two miles from their final destination, but David never arrived at the lodge. "I was at the point where I really needed to get back. I was feeling pretty bad. So I checked with David, he wanted to take an extra break," said Hayden Kirschbaum, who continued on to the lodge. Kirschbaum says Yaghmourian never made it back. 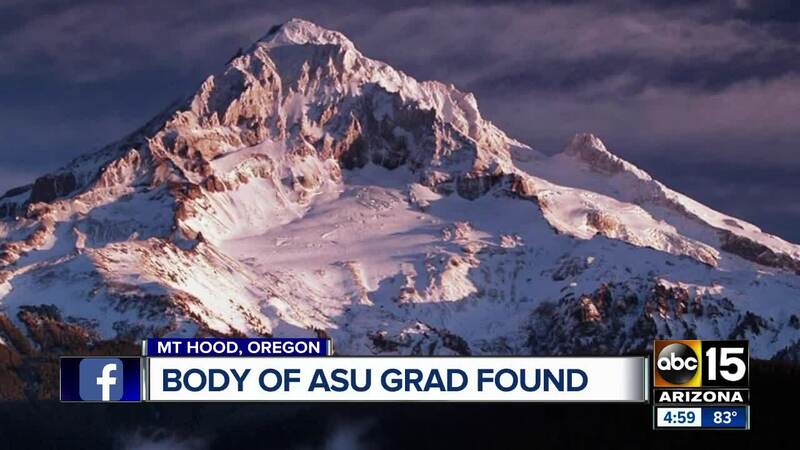 Back at ASU, one of Yaghmourian’s coworkers told ABC15 the two talked about gear before Yaghmourian left and he said he was fully equipped to tackle Mount Hood. Family members are still waiting for an official autopsy to determine the cause of death. After that, members say Yaghmourian's body will be taken back to Glendale where they live.